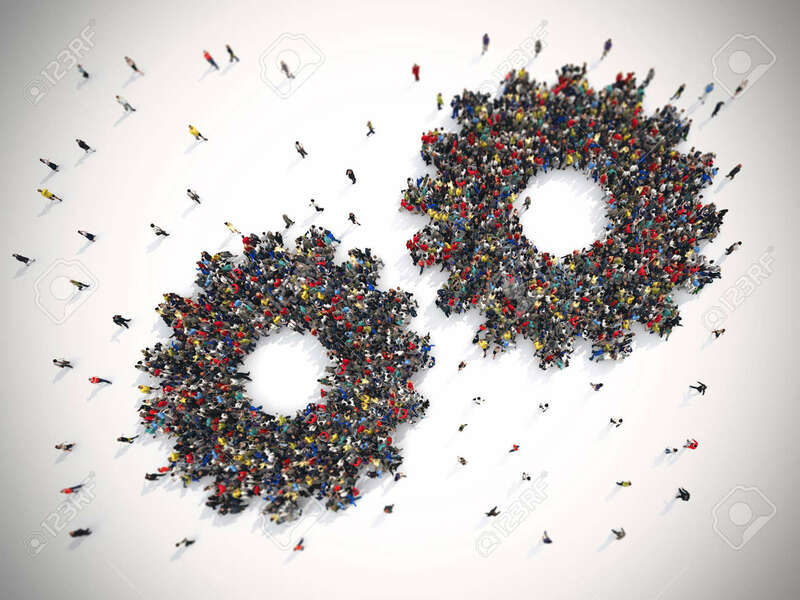 3D Rendering Of People United Form Two Gears. Teamwork System.. Stock Photo, Picture And Royalty Free Image. Image 73148995.